This entry was posted on August 27, 2010 at 10:02 am and is filed under Georgia, Islam. You can subscribe via RSS 2.0 feed to this post's comments. You can comment below, or link to this permanent URL from your own site. Thank you for your response but feel obliged to correct one mistake, the post which appeared on my blog on Fabruary 2010, actually was written much earlier on October, 2008. I just created my blog in 2010 and posted this story. 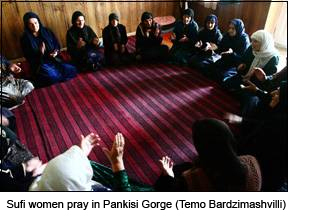 For the second time I visited Pankisi a month ago and reported for the Liberali magazine. Thank you for this correction. We have corrected our earlier post.